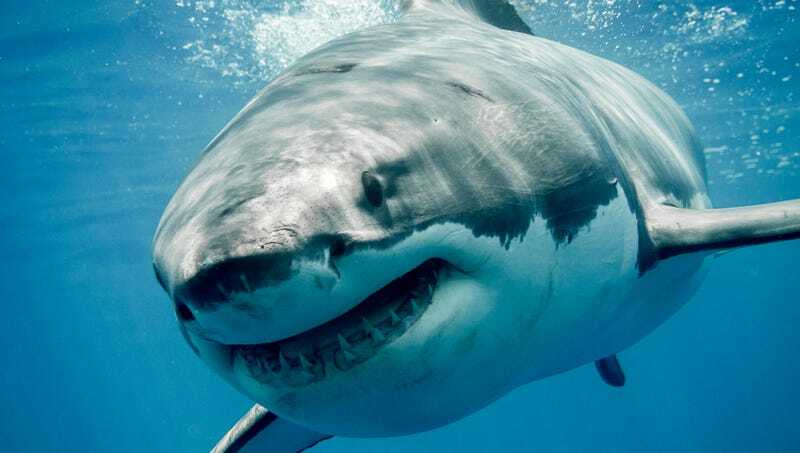 WOODS HOLE, MA—A report released Tuesday by the Woods Hole Oceanographic Institution revealed that only 10 individuals will fall victim to fatal shark attacks in 2018; however, you will be one of the victims. “Taken as a whole, the number of people killed by sharks annually has remained fairly low, which is great news for surfers, sailors, divers, and ocean swimmers, but not for you—one of the unlucky 10 who will be implacably hunted by the most perfect predator nature has ever devised, dragged beneath the waves so quickly you will be unable to draw a last breath, and torn limb from limb with a savagery that will terrify dolphins 10 miles away,” read the report in part before going on to prove mathematically and logistically, and with the use of many statistically sound probabilistic and actuarial models, that sometime before the year is out, a shark will certainly kill you. “Now, to be clear, it would be irresponsible of us not to mention that most sharks are actually afraid of humans, and in general one’s chances of a deadly encounter are astronomically small. Not yours, of course. Because of sharks, you’re as good as dead.” The ominous report is expected to reach you the same day as the much happier news that you have won an all-expenses-paid trip to Australia.